Following the recent changes made to its regulations in Bermuda, and its rise in popularity, you may have heard about CBD. CBD stands for cannabidiol, which is a compound naturally found in cannabis and hemp plants. Are CBD products legal to buy? The Bermuda Health Council recently amended regulations to allow the distribution of CBD products that contain less than 1% tetrahydrocannabinol (THC). These products can now be purchased from registered pharmacies in Bermuda. 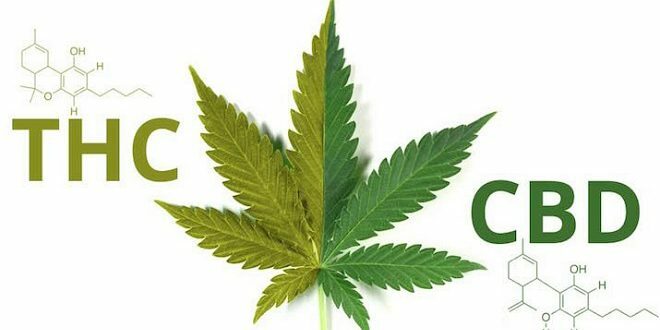 CBD and THC are just 2 of over 100 of the different compounds known as cannabinoids found in cannabis plants. Of these compounds, THC gets the most attention as it is the main psychoactive component of the cannabis plant – in other words, the bit that gets people ‘high.’ CBD on the other hand, is reported to have several different health benefits without making you feel stoned like THC and can actually counteract the psychoactive effects of THC. CBD produces its effects by interacting with the body’s endocannabinoid system, a system which helps regulate sleep, immune system responses and pain. Research into the medical benefits of CBD has so far shown it to have some effect in reducing episodes of schizophrenia, easing social anxiety and treatment in some types of childhood epilepsy. Some of the other reported benefits, amongst others, include; relieving pain and inflammation, treating nausea, Alzheimer’s, Parkinson’s disease and depression. CBD is considered to be very safe. A World Health Organisation report found CBD to have no harmful effects, no abuse potential and recognised that it has shown some health benefits. Some people who have taken CBD have noticed drowsiness, fatigue, reduced appetite and diarrhoea. Although CBD is considered safe, if you have any existing health conditions you should to speak with your doctor before beginning treatment. CBD can be taken in many ways and you may have a personal preference. Some of the more popular ways to take it include; inhaling it using a vaporizer, as an oil that you can mix with foods/drinks and swallow, sprays for under the tongue or it can be applied to the skin as creams and lotions. You can ask your pharmacist for advice on picking out an appropriate CBD product that is best suited to you. At People’s we plan to have multiple options to suit your needs. Currently available are Bluebird Botanicals. We have all 3 lines of CBD oil available from Bluebird: complete, classic and signature; but, the concentrate formula will only be available via special order at the moment. Water soluble bioavailable CBD, allowing it to be absorbed and utilized by the body, is infused Budda Teas. The full assortment is now available in a range of flavors crafted to combat a variety of ailments. Lastly, Vape Bright Pure CBD vape cartridges and charger cases completes our selection of CBD products currently available.